Q. I’ve heard there are different brands of anti-wrinkle injections. What are the differences between them? A. Yes, there are different brands. We stock two brands here at Chrysalis, but in Australia we are unable to discuss the names. In our treatment menu and price list they are referred to as Product 1 and Product 2. The products themselves are very alike in structure, with small differences in the surrounding proteins. Essentially they are chemically quite similar, and are used in the same way and for the same reasons. The major difference lies in dosing. Product 1 is a smaller molecule, and higher doses are required. Accordingly, the unit price is lower. Product 2 is a larger molecule, and the unit size is larger. Therefore, fewer units are used within the dose, and the price is higher per unit. Sometimes we use the analogy of distance – both products will get you from point A to point B, but one journey is measured in kilometres and one is measured in miles. The product used will be discussed with you in your consultation, and patient preference plays a large role in the clinical decision. Q. What is the difference between muscle relaxant and filler? A. Muscle relaxant is injected into the small muscles of the face, for example the muscles which pull your eyebrows together, causing you to look angry and develop frown lines. Muscle relaxant injections (also called anti-wrinkle injections) interrupt the neurotransmitter signal that facilitates the movement of those muscles. The muscles are relaxed, and the repeated strong movements do not occur. The result of this is that the overlying skin is no longer pulled and creased, and lines and wrinkles therefore begin to smooth out over time. Dermal filler is injected into the tissue below the skin. It is made of a substance called hyaluronic acid, which attracts water and plumps up inside the skin. This gives volume and support to the tissues of the skin, which start to lose elasticity and volume over time. The most popular areas for dermal filler treatment are the lips, cheeks, nasolabial folds, and the perioral area (around the mouth). Q. How much experience does your team have? A. Chrysalis Medispa is owned by specialist plastic surgeon Dr Mark Vucak (MBBS, FRACS) and we have been co-located with Queensland Plastic Surgery since 2000. We are the only cosmetic medical clinic in Townsville adjoined to a plastic surgery practice. Our injectables team are extremely experienced. Shona Great RN (B.NSc), our senior cosmetic injector, has been performing cosmetic injectables treatments for over a decade. As a theatre nurse specialising in micro-surgeries of the eye and face, Shona began her career in aesthetics on the world-famous Harley St in London, under the direction of specialist plastic surgeon Mr. Chris Inglefield. Shona has worked as a clinical trainer for Galderma, training other nurses and doctors in cosmetic injectables treatments. Dr. Peter Gianoulis (MBBS, FRACGP) also prescribes and performs cosmetic injectables treatments here at Chrysalis. Dr. Gianoulis is a General Practitioner with eight years’ experience in cosmetic injectables, the medical management of dermatological & cutaneous conditions, and the use of lasers in cosmetic medicine. Our newest cosmetic injector, Joyce Zeng RN (B.NSc) is an experienced theatre nurse who has been working with the Queensland Plastic Surgery team for over four years and has recently completed a cosmetic injectables course. Joyce is closely supervised by Dr. Mark Vucak, and all patient treatment plans are approved by him prior to commencement of treatment. Q. What are your fees for injectables? A. You can find our injectables fees in our price list. We offer complimentary consultations, so if you are not sure about what would be right for you, please book in. Lip Enhance $450 The lip enhance package uses 1mL of volume-creating dermal filler to enhance that perfect pout. Great value for younger patients looking for lip volume and shape. Q. What is involved in a skin consult? A. Skin consults are one of our most popular appointment types. They are a 45-minute appointment, obligation-free and completely complimentary. Consults are booked with our therapists, who are knowledgeable, experienced and qualified in assessing and treating a variety of skin conditions. Skin consults are useful for any and all skin types, and the most common conditions we see at Chrysalis are dryness/dehydration, sensitive/reactive skins (such as rosacea types), acne, ageing, and pigmentation. During the consult we will ask for your concerns, and listen to you when you explain what you’d like to improve about your skin. We will then assess the skin and determine the causes of problematic skin and identify any issues which should be targeted. We then will work with you to develop a plan, which usually consists of a home skincare routine and in-clinic treatments. It is common for patients to start small (for example, with just a couple of products) before moving on to a more comprehensive routine and professional procedures. It’s up to you how big or small you wish to go. Photographs are generally taken at initial consultations, and these are kept on your confidential patient file. Q. If I have a peel will I need to take time off work? A. This depends entirely on the condition of your skin and the peel which has been used, but generally no. The majority of our peels are a newer generation of peel, which do not cause an aggressive peeling and shedding. Instead, they stimulate the skin’s own natural exfoliation processes so you get a slower, more even peeling over the course of about a week. Any flaking is generally fairly mild, and is coverable with makeup. Q. What treatments do you have for facial redness or vessels? A. We can treat facial redness with both Limelight IPL and vascular laser. Q. What treatments do you have for large pores? A. Pore size is largely genetically determined and cannot be significantly altered by many treatments. However, treatments which stimulate collagen (such as skin needling, radio frequency, or fractional ablative laser) help to firm and smooth the skin, which can help with the appearance of pores. Products containing vitamin A and alpha-hydroxy acids, in addition to a good quality cleanser, can be useful as well. Q. I used to get microdermabrasion at a beauty salon but I notice you don’t offer it. Why not, and is there something else I should try instead? A. Microdermabrasion used to be the answer to everyone’s skin problems – or so we thought. For a while there it was used everywhere, for every concern. The issue lies in choosing the correct modality to treat the specific skin concern – and often, microdermabrasion just isn’t the best tool available for the job. In actual fact, we like to look closer at the skin and put steps into place to prevent the need for something like micro. A skin that is well looked after and functioning well generally should not need aggressive physical exfoliation. While microdermabrasion is still useful in some skin conditions, the newer generation of resurfacing treatments is designed to be gentler while providing a more even exfoliation. If you like microdermabrasion for the instant smoothing effect, you will LOVE the Hydrafacial MD. It includes a glycolic/salicylic acid peel, and uses disposable tips to gently abrade the surface of the skin. We complete Hydrafacial MD with a hydrating infusion filled with antioxidants and hyaluronic acid, so the skin is left feeling moisturised and supported. If you like micro because you find your skin behaves better and your home skincare products absorb better with regular exfoliation, you’ll probably love our huge range of peels. Both Hydrafacial MD and our peels include LED phototherapy. Q. “I’ve heard you mention that your clinic works on the principle of “evidence-based practice”. What is this? A. Evidence based practice simply means the integration of best available research into our treatments and protocols. It means we refrain from recommending a treatment or product unless there is substantial scientific evidence, which means the treatment or product has been studied and, in most cases, compared with a placebo – and shown to be effective. The utilisation of scientific research is not the only pillar of evidence based practice that we integrate, however. Our own clinical expertise and your preferences as a patient weigh in just as heavily. But you can rest assured that the vast majority of our recommendations and protocols are scientifically solid. Q. I’m interested in CoolSculpting. How much will it cost me? A. Everybody is different, and literally “every body” is different. CoolSculpting starts from $850, and the average patient spend is between $3440-5000, with the majority of patients investing this total amount over two separate sessions. Q. I’m interested in CoolSculpting. What areas can you treat? A. We can treat tummies, hips, back fat/bra bulges, inner thighs, and the tricep area of arms. Tummies are our most popular treatment zone. Q. I only have a limited budget but I do want to improve my skin. Is there anything I can do? A. Absolutely! We are very mindful and respectful of patient limitations, whether they be budget-related, downtime-related, or otherwise. We offer complimentary consultations for most concerns, so this is an easy first step. In that appointment we can get to know you and understand what’s going on with your skin, and formulate a plan for you that is realistic and sustainable. Often we will suggest just one or two “workhorse” products to do the heavy lifting, and make recommendations for chemist or supermarket products to fill in the rest of the gaps. In terms of in-clinic treatments, we have tried to make our price list as accessible as possible, and in fact in a recent self-audit of our fees we found that they compared very favourably to equivalent clinics both locally and in capital cities. Q. Why do I need to wear sunscreen every single day especially if I don’t go outdoors much? A. Evidence shows that cumulative sun exposure (from daily living as opposed to deliberately sunbaking) is a big contributor to lifetime sun damage. Our UV index in North Queensland is high, so there’s no getting around it – sunscreen every single day is a non-negotiable. Even if you are not predisposed to developing skin cancer, UV exposure is the main cause of what’s called “extrinsic ageing” (the development of lines, wrinkles and sagging caused by factors outside of the body). Q. I had a consultation and you told me I need to use some products for a month prior to having my treatments. Why? I want to have treatments today! A. The primary reason for having our patients prep their skin with topical products is risk mitigation. Whenever we do invasive treatments, there is always a risk that the skin will develop what is called post-inflammatory hyperpigmentation (brown spots). This is a normal response undertaken by the skin after trauma, especially in skins that are naturally olive or darker. We recommend preparing the skin with a product that “dampens down” this response, to provide a safer and more effective cosmetic outcome. In addition, we may also ask you to start on a product that helps you to heal more quickly. We are goal-driven and never ask our patients to purchase anything that we do not believe is in their best interests. Q. I want to buy a gift voucher, what should I get? A. Great choice! They’ll love our beautifully packaged gift cards. You can choose literally any treatment or dollar amount to give as a gift. Our most popular services for gift vouchers are Guinot facials; full body massage; Hydrafacials; and skin consults with a retail spend amount (we generally suggest $200 is a good amount to put towards some new skincare products or a skincare kit). Q. What is a Guinot facial? A. Guinot is our luxury French spa range. Guinot is based on marine and botanical extracts, and Guinot treatments can be found in over 7000 spas worldwide. All Guinot facials are designed for ultimate relaxation, while still giving real visible skin results. We will often recommend a Guinot facial for dehydrated or inflamed skins that require some TLC before moving on to clinical treatments. All facials include a shoulder, neck and face massage. Q: Do you perform skin cancer checks and offer treatments for skin cancer? A: Yes. Dr. Peter Gianoulis takes appointments for full body skin exams or single lesion checks, and can manage pre-cancerous or cancerous skin conditions, referring where necessary. We are able to utilise various techniques including excisions, laser, and photodynamic therapy to manage cancers of the skin. 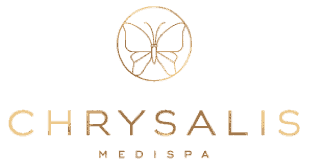 Q: Do you have a dermatologist on the Chrysalis Medispa team? A: No. Our doctors are experienced General Practitioners. We often have great success with patients who have seen dermatologists before coming to Chrysalis to benefit from our multidisciplinary approach. However, we will also happily refer to a specialist dermatologist where need be. Q: I want to see a doctor, not a dermal therapist or a beautician. A: That is fine, we can make an appointment for you to see Dr. Gianoulis directly. However, through almost twenty years of treating skin, we know that patients experience best results when we utilise all of the expertise of our team, including our qualified and experienced dermal therapists. Where needed, Dr. Gianoulis will recommend that you see one of our excellent therapists for non-medical input into your skin condition. Our therapists are fully trained in all of our skin ranges and can advise on correct use of cleansers, serums, moisturisers, sunscreens etc and can perform treatments such as chemical peels, IPL and laser therapies. Q. Why is there a Medicare rebate applicable to some treatments and not others? A. Medicare rebates depend upon whether there is a medicare item number applicable to that treatment. Medicare item numbers are listed under the Medicare Benefits Scheme (MBS). When an item number is applied to a treatment, that means that the Commonwealth Government will partially subsidise the cost of that treatment. Item numbers are only applied to treatments which are considered medical as opposed to cosmetic. Therefore, if your concerns are purely cosmetic, with no underlying medical pathophysiology, you will be billed privately and the treatment will not attract an item number. Q: I’m getting married very soon, what skin treatment would be best for me? A: Whilst we always suggest that brides begin working on their skin at least six months before their wedding, sometimes life gets in the way. At this point, you want something that will be refreshing, relaxing, and will give a gorgeous glow whilst creating a beautiful canvas for your makeup. Our most popular facial treatments for brides immediately prior to their wedding are the Hydrafacial MD; superficial peels; and Guinot facials. Q: Do you do makeup? A: Whilst our therapists are trained in makeup, we no longer offer special occasion or bridal makeup as a standalone service. Townsville is lucky to have several incredible specialist makeup artists and we will happily refer you to them if you have a special occasion coming up, just as they often refer their clients to us for skin therapies. We do stock a carefully curated range of Jane Iredale foundations, and we can colour match you to find your perfect colour. Jane Iredale is known as The Skin Care Makeup, and we find that many patients are able to achieve a significant improvement in their skin just by switching to Jane Iredale after using a supermarket or department store makeup.